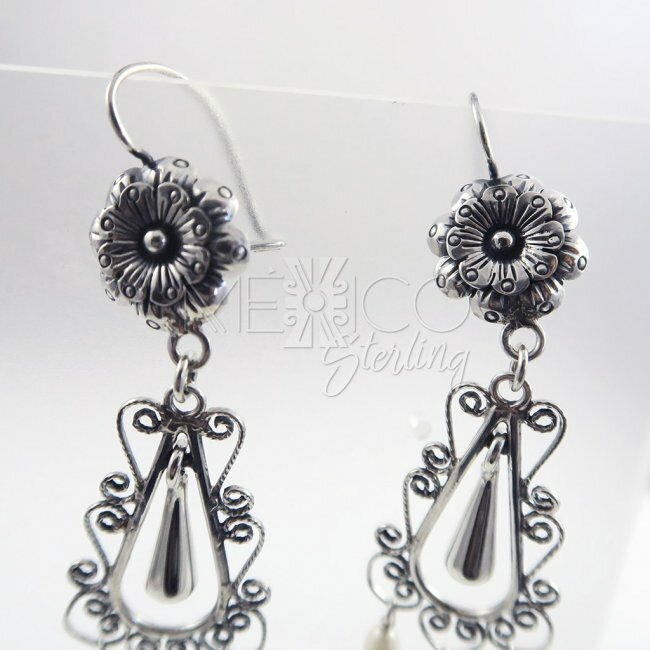 Silver Sweet Mañanitas Long Earrings [EAR3358] - $86.00 : Mexico Sterling Silver Jewelry, Proundly from Mexico to the world. 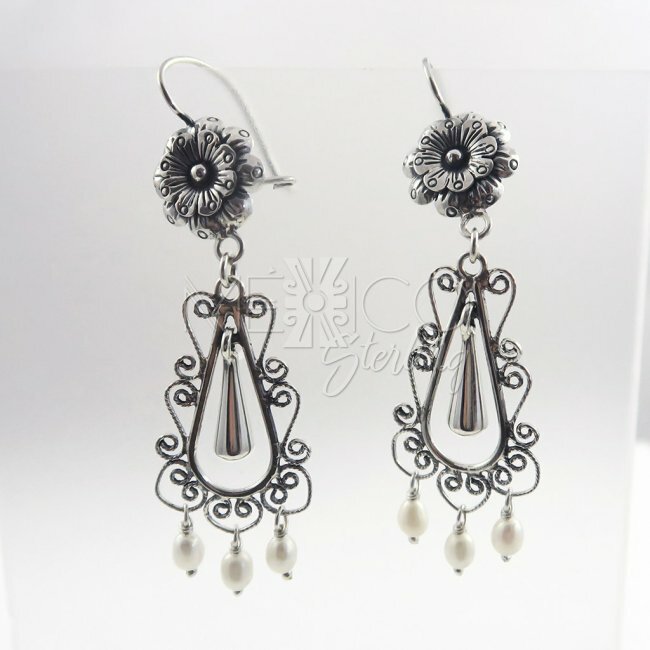 Dimensions: Width: 7/8" Length: 2 3/4"
Gogeous Mazahua silver dangle earrings. These pieces were completely handmade in the Mazahua style and tradition, they are artisan pieces that are part of a whole community that is dedicated in the creation of this beautiful and unique jewelry style. 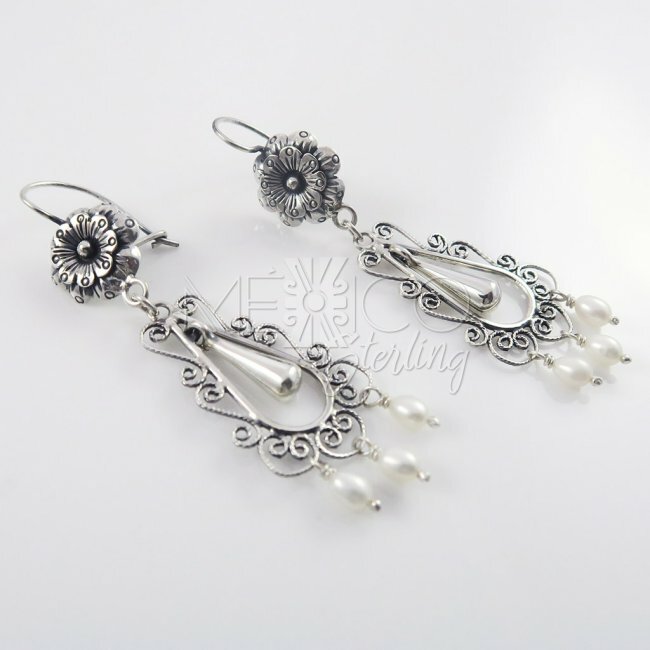 Every flower, every swirl, every line is carefully crafted and finished with excellent quality. 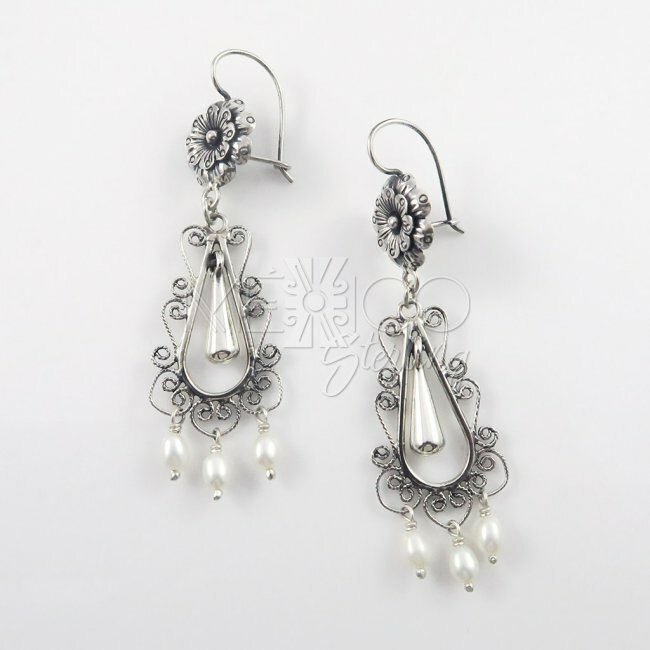 This kind of jewelry simbolizes love and eternal union, the brides to be in the Mazahua tradition, order a special set of earrings for their weding day, the more ornate and elements of romance in them, the better. 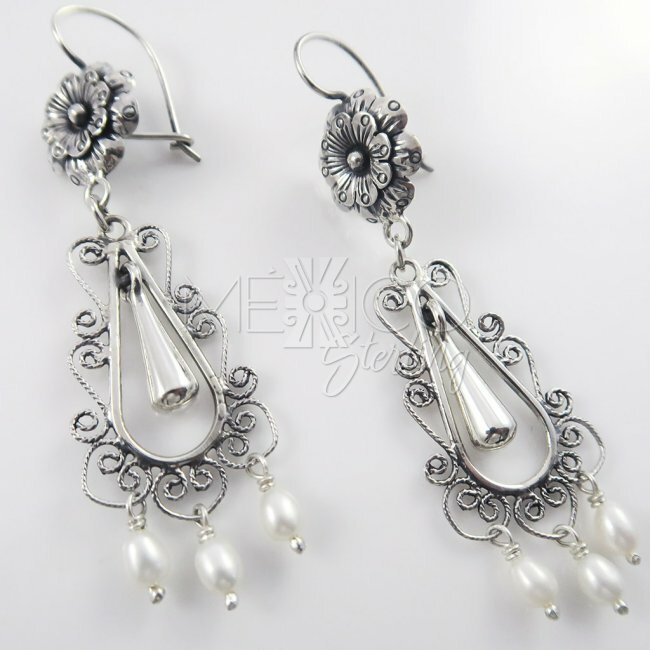 They are as important as the weding ring, meaning the union is forever. 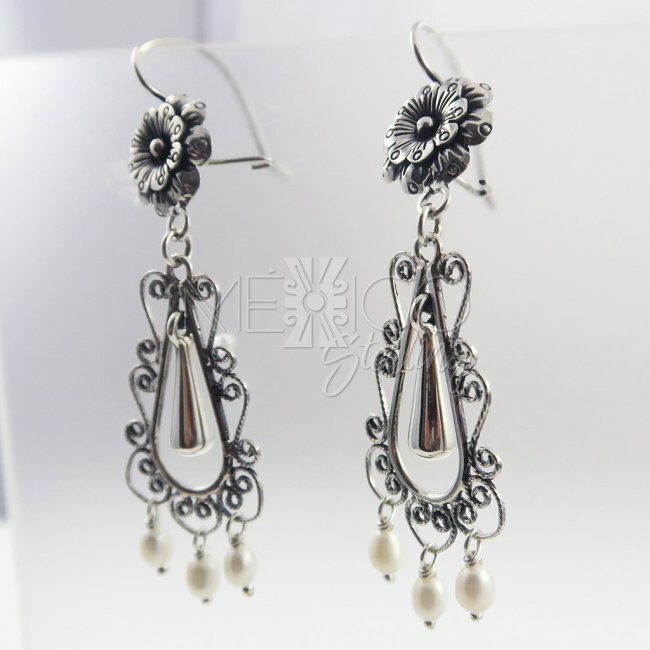 These specific silver earrings, also carry natural pearls, that dangle at the bottom, adding an extra beautiful detail, enhancing the composition even more. 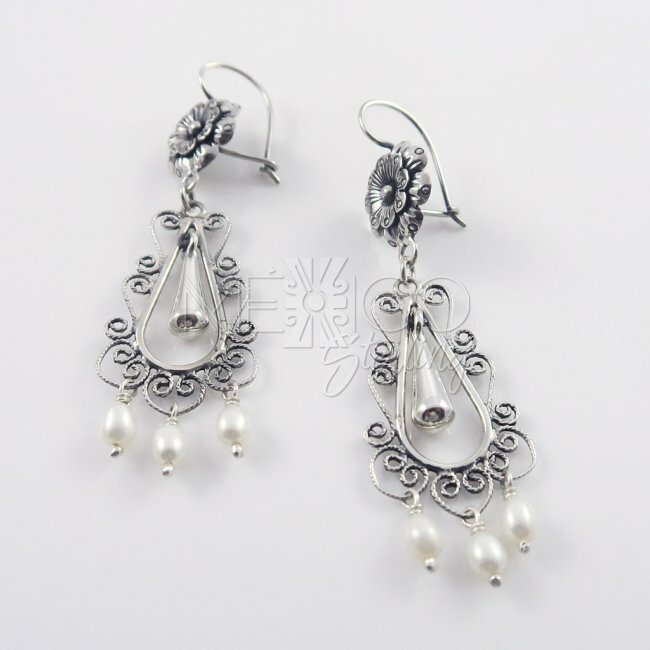 Please take a look at the additional photos, for more details on these amazing silver earrings.